North American Clean Energy - Warranties and Performance Guarantees in the Stationary Energy Storage Market: How are they validated? Warranties and Performance Guarantees in the Stationary Energy Storage Market: How are they validated? The growth of the energy storage industry comes with greater exposure to commercial risk. Battery manufacturers are addressing this risk with warranties built on self-developed testing and models. But this creates inconsistency on warranty offerings in terms of cycles or throughput and operational limitations. Buyers and sellers, seeking a way to objectively match technology to its intended market, need a standardized testing approach that supports guarantees with objective data. 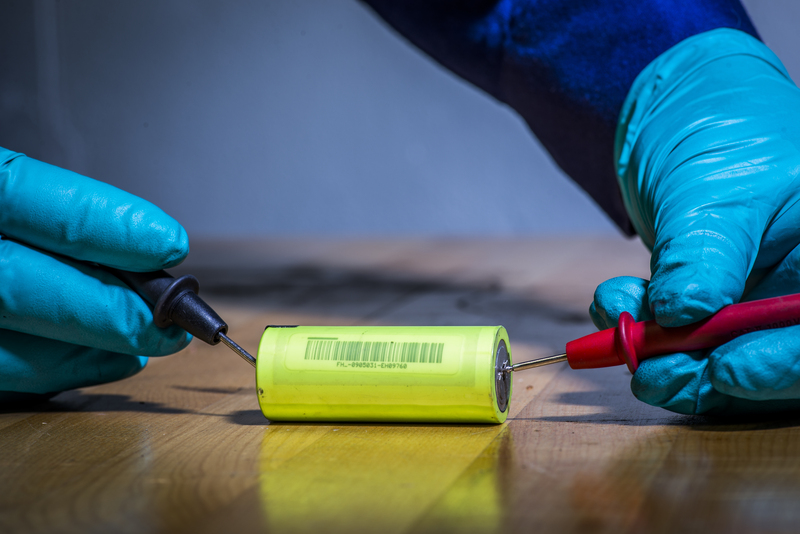 Most battery manufacturers have developed standard (unadjusted) warranties for stationary storage, based on their experience in the automotive industry. The legacy automotive battery system was expected to meet a 10-year, 100,000-mile warranty. In the late 2000’s, an electric car was expected to have a range of 30-60 miles, and charge once per day. This use case amounted to 300-365 cycles per year, a 10-year calendar life, and an average total cycle life of ~3,000-3,650 cycles, until reaching 80 percent remaining capacity. Today, battery manufacturers are still using this data to market their product. However, this convention is no longer relevant to stationary storage, or electric vehicles. Modern electric vehicles have 200+ miles of range with larger battery packs. Battery costs are almost 1/10thof what they were 10 years ago, and a vehicle may only be charged once per week. In a 10-year period, this amounts to 500-600 cycles, with the battery pack spending most of a week in intermediate states of charge (SOC), especially if the vehicle is opportunistically charged; the cycle life is less important than the amount of time the battery spends at different SOCs. Because of these uncertainties, automotive manufacturers have invested millions in their own battery testing facilities to perform their own diligence on battery lifetimes. Recent, independent testing has shown that battery degradation is dependent on the SOC rest states of a battery, and that the most sensitive SOC conditions vary greatly across batteries. 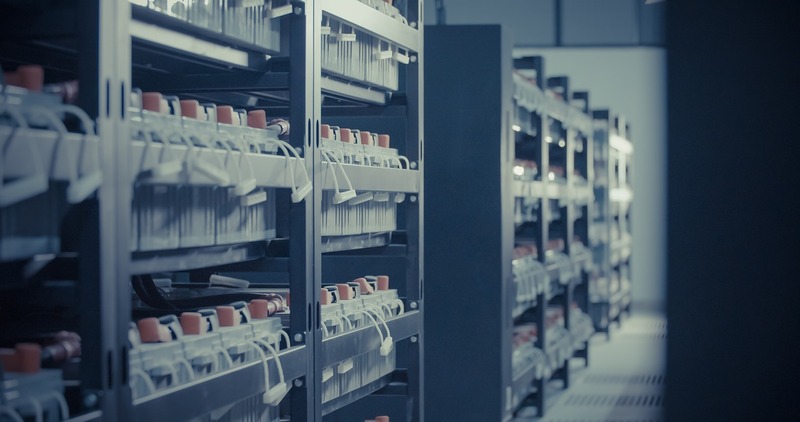 Another precedent from the lead acid and uninterruptible power supply (UPS) battery industry is the concept of “Depth of discharge” (DOD), which implies the battery must always start from a full SOC before discharging. The DOD is measured as the percentage of discharge, i.e., if the battery discharges to 75 percent SOC, the DOD is 25 percent. In many stationary markets, Li-ion batteries can operate at many SOC conditions without reaching a fully charged state each cycle. Therefore, the term DOD has very little meaning for Li-ion batteries, which make up 95 percent or more of the market in stationary storage. When energy storage project developers issue requests for proposals (RFP) from stationary storage vendors, these legacy conventions are still evident in the responses. The standard offering from a battery manufacturer is a 10-year warranty, guaranteeing 80 percent remaining capacity at the end of life, under an assumed DOD of 100 percent. The senior engineering, procurement, and construction contractor (EPC) will usually base their capacity guarantee on this warranty. Yet, these criteria are inappropriate for most stationary storage markets. Once the vendor is selected, the battery manufacturer will likely revise the warranty offering with linear capacity degradation models (based on data that the manufacturer will not disclose). However, publicly available testing results demonstrate that degradation is not linear; it’s greatly dependent on the SOC, temperature, and current (Amps) to which the battery cells are exposed. Therefore, the original warranty offerings in RFP responses have no lasting impact, and should not be considered empirical in the evaluation of preliminary bids. The later revisions to the warranty lack transparency, and introduce technical risk to the contractual guarantees in the project. The cycling needs of a stationary storage battery are rarely as simple as one cycle per day with a 100 percent SOC setpoint. In frequency regulation markets, the battery transits the entirety of the SOC range multiple times daily, in partial cycles, with an intermediate SOC setpoint. In a demand charge avoidance use case, the battery may cycle infrequently, and idle in a partially charged state. In a weather-dependent solar self-supply scenario, a battery is charging with solar power during the day, while remaining in a partially depleted state overnight. Given these complexities, it is better to discard the convention of “cycle life”, and instead think in terms of “throughput”, or the condition-dependent number of amp-hours or watt-hours a battery can discharge over its life. The throughput should be quantified subject to these conditions: 1) temperature, 2) average SOC, 3) SOC change per cycle (or SOC swing), and 4) C-rate (an indirect measure of battery current). Battery performance ranked in these terms can be used to validate a warranty. There are two factors that must be addressed to estimate whether the warranty and/or capacity guarantee is sufficient. First, the system design comprises a number of battery cells configured in series and parallel, to achieve the desired power and voltage of the system. This configuration will impact the current and SOC conditions for the battery cells. The battery management system (BMS) imposes static upper and lower SOC limits on the cells. These limits should be compared against the SOC and C-rates that maximize the life of the cell. It is for these reasons that the electrochemical SOC at the celland the system SOCare two different numbers. If the warranty is offered in the context of system conditions, the cell-level implications will need to be back-calculated. Second, the control of the system—as it pertains to its use case and environmental conditions—will need to be analyzed to determine if the SOC, temperature, and power of the system are detrimental to the warranty. The old legacy of a 10-year warranty with 80 percent remaining capacity fails to acknowledge condition-dependency on battery throughput. As projects are being deployed at the gigawatt scale, it is evidential that there are commercially viable and technically sound solutions in the marketplace. Unfortunately, due to lack of transparency in warranties and performance, their viability is not apparent to the greater market. The industry precedent of relying on the manufacturer’s self-validation of the warranty is exposing the industry to technical risk. Buyers and owners of energy storage systems can mitigate this risk by participating in independent testing programs to validate warranties and performance guarantees. This ultimately leads to more certainty in transactions, which increases investor confidence, and accelerates the market. Dr. Davion Hill is an energy storage expert managing DNV GL’s energy storage business for the Americas region. He is an Executive Board member for NAATBatt International, former President (2015) and Chairman (2016), and also serves on the Board of Directors for NYBEST. As an energy storage expert serving the energy project development and energy finance communities, Dr. Hill has been principle investigator for R&D programs with ARPA-e, NYSERDA, the US Department of Transportation, the Federal Aviation Administration, and the California Energy Commission, Dr. Hill also led DNV GL’s North American joint industry guidelines for energy storage on hybrid vessels in the oil & gas sector, and was one of several authors for DNV GL’s GRIDSTOR RP-0043. As primary author on the Consolidated Edison Battery Energy Storage Safety report, Dr. Hill led an industry-wide conversation in 2016-2017 to address fire safety issues in energy storage. Dr. Hill’s expertise spans energy storage business models and project development, safety issues and integration, and long-term performance to support warranties. 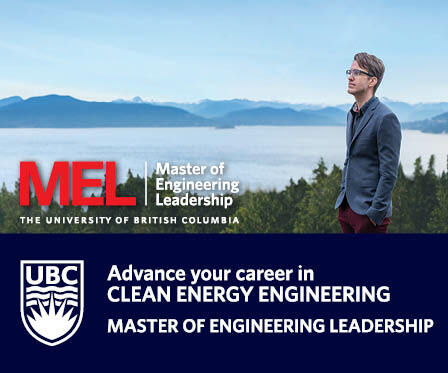 In 2011 Dr. Hill was a co-awardee of the TechColumbus Innovation award for DNV’s analysis of grid scale energy storage via CO2conversion, and also chaired panels for the National Academy of Engineers on energy storage across scales. He is an accomplished author with over 30+ peer reviewed publications and articles, and acquired his PhD in applied materials physics from The Ohio State University in 2006.